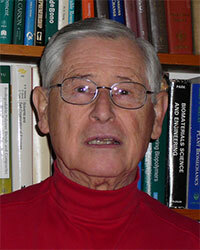 Wolfgang G. Glasser is Prof. Emeritus of Sustainable Biomaterials at Virginia Tech. Since obtaining a doctorate in Hamburg, Germany in 1969, his research and teaching efforts focussed on high-value uses of sustainable bioresources by means of chemistry. His is widely known as one of the leading voices in the world in the field of Lignin research and several of his efforts have resulted in commercial start-up ventures. Prof Glasser will share his views on the "Opportunities and Challenges of Lignin Utilization as a Biopolymer". The First PAPTAC International Lignin Conference will take place in Edmonton, Alberta on September 18-20, 2018. In a site visit during the last day of the conference, attendees will have the opportunity to tour the ﬁrst installation of the LignoForce System™ at the West Fraser, Hinton mill in Alberta, Canada.